Farm animals are susceptible to a whole range of diseases and parasitic infections. From the commonly known and well publicised foot and mouth disease to the lesser publicly recognised bluetongue disease, farmers must deal with a wide array of viruses, bacteria and parasites that can affect their livestock. 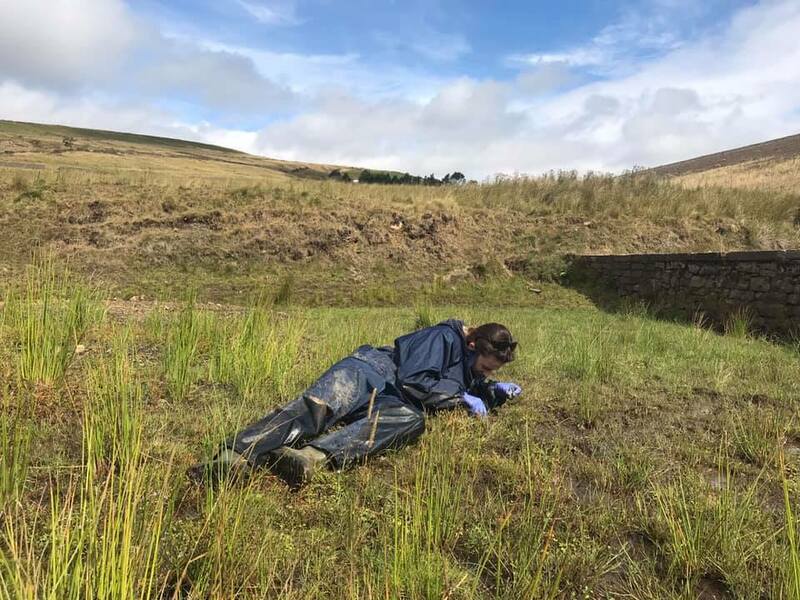 In this blog, I spoke to Bethan John, a 3rd Year PhD student in IGH about her PhD research into Liver Fluke. Liver fluke (Fasciola hepatica) is a flatworm parasite of grazing animals such as cows and sheep. Though only the size of a 50p piece, this parasite causes weight loss and anaemia in infected animals and is estimated to cost the UK cattle industry £40.4 million per year. Therefore, it is both an animal welfare issue and an economic one. This parasite is also known to infect humans (zoonotic) when humans eat infected meat. The liver fluke takes many forms during its life cycle. Infection occurs when the animals consume the parasite when it is in the form of a cyst attached to blades of grass. Once the cysts are in the small intestine they mature into juvenile parasites which burrow from the small intestine across the peritoneum and into the liver where they mature into adults. These adults are hermaphrodites having both male and female characteristics, and are able to reproduce both sexually (2 parents) and asexually (1 parent) resulting in the production of eggs. These eggs are passed from the mammal via its faeces onto damp pastures where they hatch. They are then able to infect the mud snail (usually Galba truncatula) which is the intermediary host. Within the snail the parasite is cloned into thousands of genetically identical cysts, a process known as clonal amplification. It is these genetically identical cysts that are shed and become attached to blades of grass. This process can only occur in boggy areas where the snail can be found. The cycle is then completed when the parasite cysts are ingested by grazing animals and mature flukes develop in the liver and go on to lay eggs. However, there has been evidence via word-of-mouth that even animals that have been housed inside and fed on silage, far away from boggy areas and snails, have still become infected with fluke. Silage, which is grass that has been dried and fermented in airtight conditions, has also been known to transmit some bacterial diseases and other parasites. It is, therefore, thought that the fluke cysts could be transmitted from the silage to the housed animals. Moreover, it may also be the case that the eggs can survive in slurry, animal waste mixed with water and runoff, which is commonly used as a fertiliser on farms. As part of her PhD Bethan is looking into whether the various fluke life cycle stages can survive under certain environmental conditions and within silage Fluke eggs are a lot more sensitive to the environment than the cysts, they need moisture and a temperature over 10°C to hatch, whereas cysts can survive in much cooler environments; over 50% of cysts on grass can overwinter and still be infectious to grazing animals. There is also a big issue with the use of drugs to control fluke infections. The usual drug used, triclabendazole, is becoming less effective. If it can be shown that fluke can be passed to livestock via silage then farmers can change and improve their farming practises to reduce the incidence of fluke without the need for drugs. Bethan hunting for snails on a UK farm.